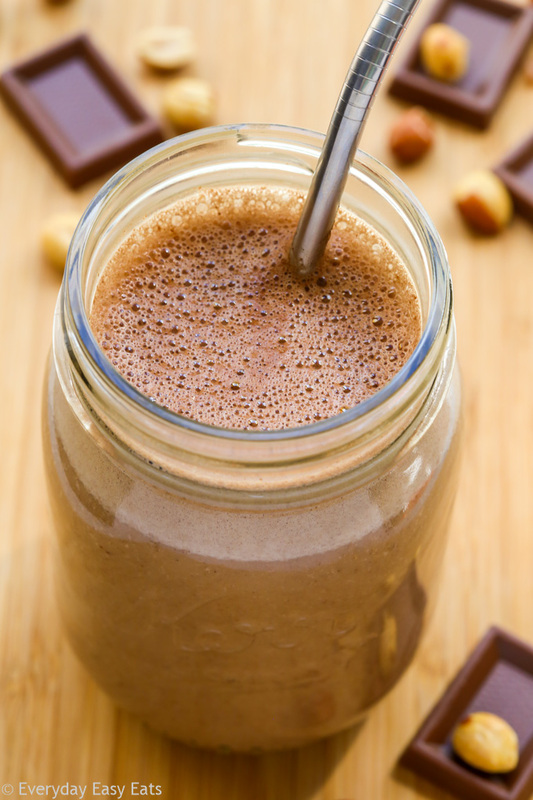 This energizing Peanut Butter Chocolate Protein Shake recipe is a great way to start your day or replenish your body after a workout. Made with peanut butter, cocoa powder, banana, protein powder, milk, honey and vanilla! It cannot be denied that peanut butter and chocolate are a match made in heaven. And they are even more divine when you can indulge in them without any guilt. This nourishing shake is bursting with peanut butter chocolate flavor, but is made with all natural ingredients and contains no refined sugars. This smoothie recipe makes a healthy, protein-packed breakfast that will kick-start your day and will keep you feeling full all morning. It is also an ideal post-workout shake that will refuel your energy and help your muscles to heal after exercising. Simply add all of the ingredients – milk, banana, peanut butter, ice, honey, cocoa powder, vanilla extract and protein powder – to a blender and blend until smooth and creamy. Tip: When adding your ingredients to your blender, always add the liquid (in this case, the milk) first near the blades. Doing this will help your blender to run a bit more easily whenever you are making a shake. Vitamix Blender – It is THE BEST blender for smoothies! It breaks up frozen fruit, leafy greens, dense vegetables and any other crunchy ingredients into oblivion – with no chunks and easy clean-up. Natural Whey Protein Powder – This is the protein powder I use. I love it because it contains NO additives, fillers, artificial colors, flavors, sweeteners or preservatives. Natural Peanut Butter – Not all peanut butters are created equal, so I recommend using one like this that has no added sugars or preservatives. 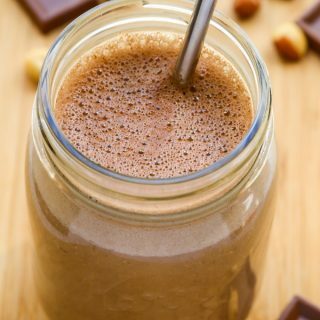 This energizing Peanut Butter Chocolate Protein Shake recipe is a great way to start your day or replenish your body after a workout. This looks and sounds absolutely perfect for either before or after a workout! My favorite flavors, too! I love this recipe! Peanut butter and chocolate in a smoothie sounds absolutely delicious!